It’s laughter and girl power over on 52nd Street as Mean Girls is currently ruling school at Broadway’s August Wilson Theatre. The musical, based on the 2004 film of the same name, features a book by celebrated Emmy-winning writer and performer Tina Fey (30 Rock, Unbreakable Kimmy Schmidt), direction and choreography by Tony winner Casey Nicholaw (The Book of Mormon, Aladdin), and a score by Emmy Award winner Jeff Richmond (30 Rock, Saturday Night Live) and Tony Award nominee Nell Benjamin (Legally Blonde). NY1 entertainment journalist Frank DiLella recently caught up with Henningsen and Butler to talk about performing in Mean Girls on Broadway. Your creative team is made up of folks who know a thing or two about comedy — Tina Fey, Casey Nicholaw, Jeff Richmond, and Nell Benjamin. What was the rehearsal room like? ERIKA: The best thing was, they’re all masters in their respective fields, and they collaborate incredibly well together. And that’s not always the case when you’re working on a big musical like this. You may have one person pushing one side of the story at the expense of the lyrics, and so on. And the great thing about working with this creative team is that they all work well together, which only serves the show. KERRY: Tina was very humble about the process, which, I feel like with all of her credentials and her life and career, she could’ve come in and been the boss. She really came into it being like, “This is a new medium for me and I’m going to leave it to the people who do it all the time.” So she filtered everything through Casey. She worked so hard. We had pages and pages of rewrites every day, even after we opened in Washington, D.C. After we opened, they went back to make changes. And I’ve never done that before, where you go back into rehearsal after you’ve opened. 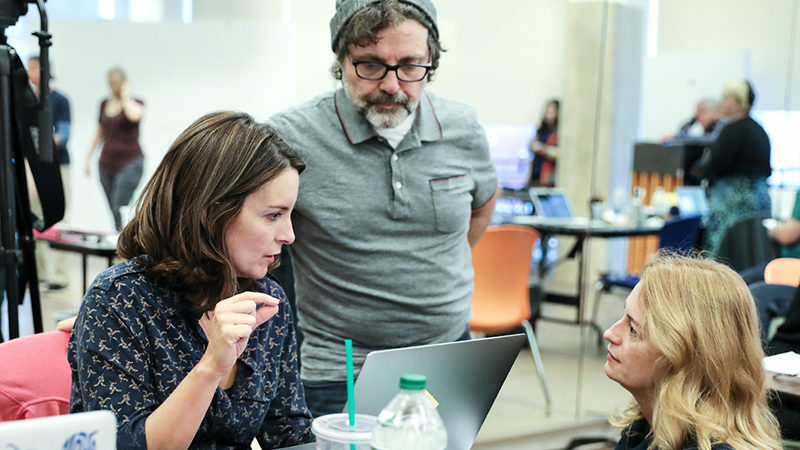 What was it like to get notes from Tina Fey? KERRY: She gave me great gems. It was her idea to tongue-kiss the dog when I play Mrs. George (originated on film by Amy Poehler). [Laughs.] We also collaborated on my song in Act 2. I’ve known Tina for a long time and we both have daughters the same age, so we both said, “Let’s have this song that reflects what we’re both going through with having daughters who are about to become teenagers.” Because as parents we always feel like we’re not doing things right. ERIKA: She is very thoughtful on how she communicates in her writing because her economy of language is so strong. She was really clear and to the point when she came on stage to communicate to the actors. She left a lot of things up to Casey because he was at the helm of communicating with us. This musical pays homage to the film, yet it also stands on its own. KERRY: Yes. Tina has updated it. Most of the big jokes now are not from the movie. It’s definitely not the movie on stage. Same storyline, but there is a lot that stands on its own. ERIKA: You can enjoy this musical even if you haven’t seen the movie. Erika, how is your Cady different from Lindsay Lohan’s? ERIKA: Musical theater is a different medium compared to film. When you have a lead character in a movie, they have the elements of voice-overs and close-ups to portray really tiny moments, which wouldn’t translate on a stage when you’re trying to reach the back of a house. So when I started work on the musical, the creative team said, “We don’t expect you to be Lindsay Lohan because that performance won’t read in a broad musical comedy.” So my Cady is more on the balls of her feet: She’s far more enthusiastic and she’s hungry for knowledge and wants to know how things work. She propels the story a bit more so you can get inside her head faster without the element of film and those tight frames that they use in the movie. Kerry, what’s it like to play multiple roles – Mrs. Heron, Ms. Norbury, and Mrs. George? When you take on Ms. Norbury, your look is a little Tina Fey-ish. Do you agree? You go way back with Tina. KERRY: I’ve known Tina for 13 years. She was on Sesame Street and my husband works on Sesame Street. And they were talking about kids, and both of our daughters, their birthdays are two days apart. And so we were like, “Why don’t we have a playdate?” And we met and our daughters became best friends, so we grew up watching our kids grow up. 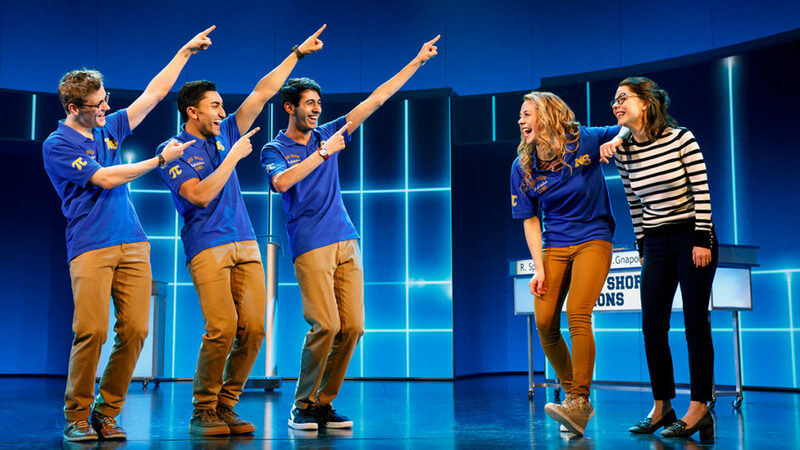 Ben Cook, Nikhil Saboo, Cheech Manohar, Erika Henningsen, and Kerry Butler in Mean Girls. Photo by Joan Marcus. Tell me about high school, Erika. ERIKA: [Laughs.] I grew up right outside of San Francisco and I was very happy in high school! If I had bullies, I don’t think I was aware of them because I was lucky to have found what I love doing, which is theater. I transferred all my extra energy there. Tell me about high school, Kerry. KERRY: “High school” Kerry Butler was very into theater. She was a little nerdy and goofy. I’ve been a professional actress since I was a little kid. I grew up in Brooklyn, so in high school I would go directly into the city for auditions. My mom wanted me to have a normal childhood, so I went to my prom and things like that. But I couldn’t wait to get out and really get involved in theater. In the spirit of Mean Girls, what group did you belong to in high school? KERRY: I was part of the preppy girls because my school didn’t have a lot of theater. What would High School Kerry Butler say about Tony-Nominated Actress Kerry Butler? 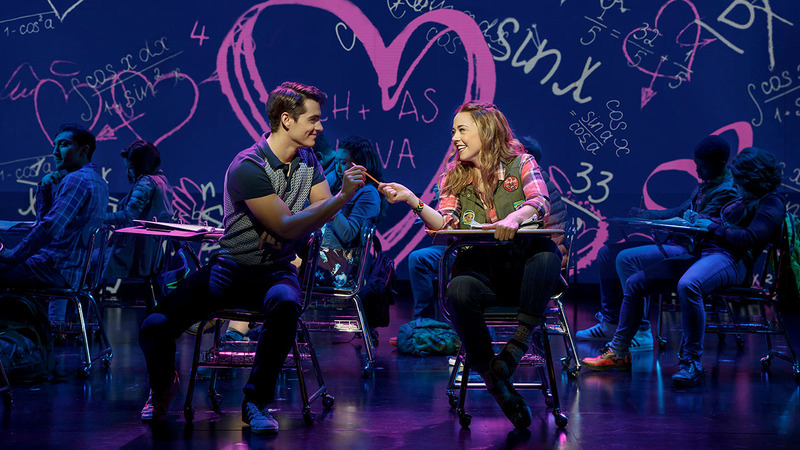 What would High School Erika Henningsen say about Current Broadway Star Erika Henningsen? When you both play mother/daughter, or even teacher/student, what’s that connection like? KERRY: Erika and I are really close. She grew up listening to me and started crying the day I met her. And now I see myself in her and I feel like I’m passing the quirky ingénue baton to her. And if I were the same age as her and up against the same parts, I would never get them. She’s so amazing. She’s a triple threat — way better than anything I can do. She’s really handled this with grace and kindness and is a total leader. ERIKA: When we heard that Kerry Butler was doing the show, all of us girls were texting each other like, “Oh, my God! Legend Kerry Butler!” And she’s just one of us girls. She loves coming into our dressing rooms and gossiping about what’s going on and our boy troubles, and she loves to have a good time. And that’s been a wonderful bond to form with her. Connection! You’ve both played the role of Penny in Hairspray. Kerry, you originated it on Broadway, and Erika, you played it regionally. KERRY: I didn’t know Erika played Penny! ERIKA: I played the role of Penny in California right before I moved to New York. I spent so much of my high school and college years listening to cast albums that Kerry was on, and whether I was aware or not, so many of her choices. And meeting and working with Kerry, she embodies everything I hope to continue to be in the business, which is: She’s talented, funny, and she’s a huge team player. Her lack of ego and willingness to be there is all you want in a scene partner. What I love about Mean Girls is that it’s a true new musical comedy with a big fat heart! KERRY: I think the thing that’s cool about the show is that it’s universal. All of us are insecure — even the grown-ups, and it doesn’t end in high school — so that’s the message of the show. We all need to treat each other with respect and dignity even when it’s hard and people are politically divided. We need to try to understand the other side. ERIKA: When you’re working with people like Tina, Casey, and Nell, you know the product is going to be funny. But what we also love is that the message of our musical is taking people by surprise. People are being moved by the show, and that’s a reflection of how our great team knew that somewhere underneath all the humor, insight, and wit, there’s a true poignant message — and it’s exciting to be a part of something that accomplishes both of those things. 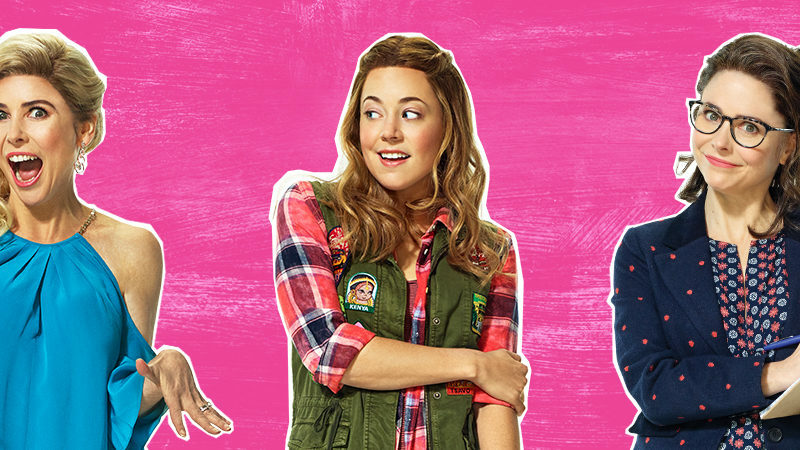 Mean Girls is now playing at Broadway’s August Wilson Theatre. The Original Broadway Cast Recording of Mean Girls (Atlantic Records) is now available for digital pre-orders and pre-saves at digital retailers nationwide, ahead of the album’s Friday, May 18 digital release date.